So you wrote a book and viola you also got a publisher for yourself, now you are just a signature away from sealing the deal. Ohh wait! read before your head, let us understand what all a copyright owner shall consider before assigning its right to someone else. It has got a lot to understand before proceedings, most of the publishers do tend to make one sided copyright assignment or publishing agreements. So you shall always weigh your effort and hard work you put in before entering into any agreement. A copyright is not just an intellectual property its another parallel asset that author builds over the time. So let us understand the basic concept before proceeding into nity gritties or grey lines in understanding copyright assignment . We all are aware that the creator or author of the work owns all the rights over the work and has all the rights to sell, reproduce, share etc. etc. As like other intellectual properties such as patent, trademark etc even copyright work can also be transferred from the owner to another person. This is commonly done by Copyright Assignment. 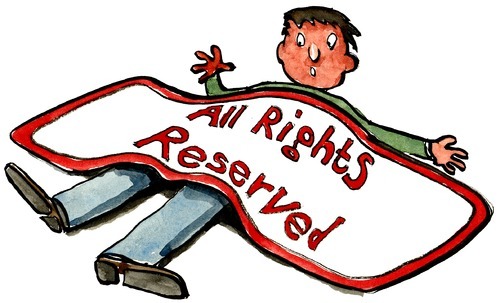 Generally, authors of a copyrighted work tend to focus on only one time payment they get from the publisher in lieu of assignment of copyright. But let us read between the lines and focus on few pain points. So one must try to get atleast 6 percent royalty after the sale of certain number of copies of your work. Also it is very important to check the restriction on publishing of second editions of the original work or series. In case the nature of your work is such that there is little chance of second edition you may skip the clause conveniently. But in case it is something that related to law or some subjects that will surely improvise over the time and a second edition or a series, do check with all your eyes wide open that what kind of restrictions are posed over such second series production, do the publisher has inserted a first buy back clause that you need to approach current publisher first or whether in case the publisher in near future may ask you update the current version with pre fixing the cost of the same. Do check the amount and see if its good for you. So in short when you had patience to create a work having a market, also take a moment to go through the copyright assignment or any other agreement may be a publishing agreement. Your checklist shall focus on remuneration clause, royalty clause, publishing rights and of course the restriction over the future extension of your work. For more information about copyright registration, its assignment or any other related services register here and get in touch with a Company360.in expert.